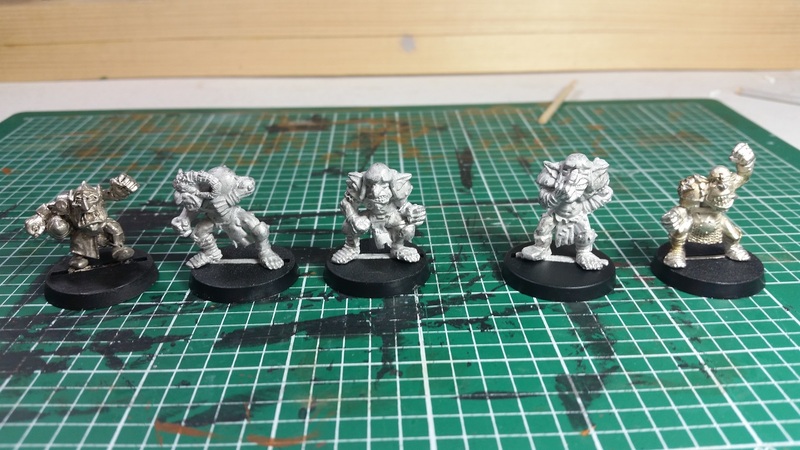 Months ago I pledged on the Goblin Guild Green Rats Underworld team on Indiegogo. 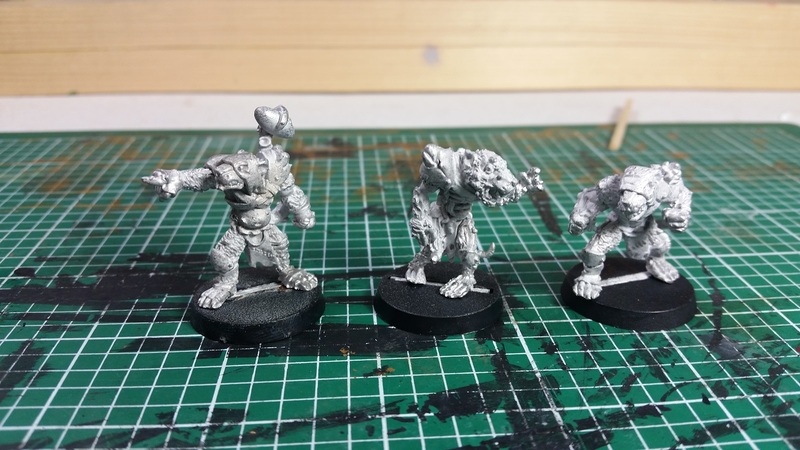 I did not have too much interest in Underworld teams in general, but this team was sculpted by Pedro Ramos and all the minis looked really great, so I jumped on board. As far as indie teams for Blood Bowl go, this team was a pretty decent price and Pedro is my favorite indie sculptor. Today, after months of waiting, a package from Spain finally showed up at my house. I have no idea when I’ll manage to get around to painting this minis, but they sure do look great. In general, there are very few noticeable mold lines, and the molds on the minis are nice and crisp. There are more than a few bent pieces, but that is to be expected after being shipped from Spain. 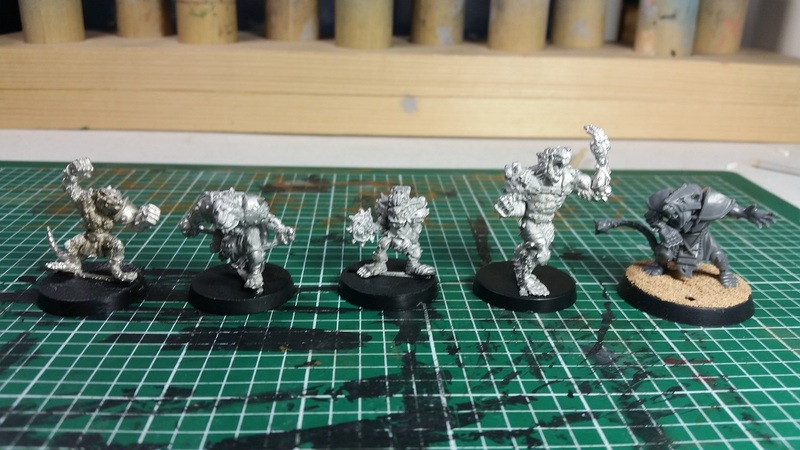 Below are pics of the minis. I took the pics with my phone because I am lazy and did not want to break out the DSLR, so I apologize for the occasional blurry shot. 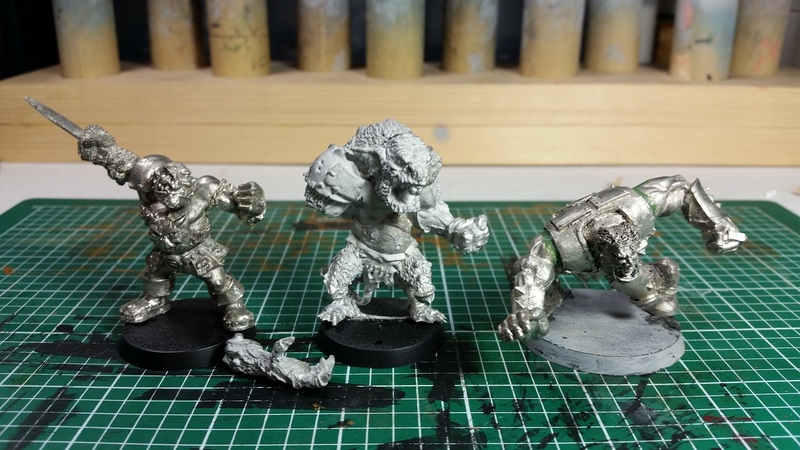 Here is a shot of the Troll next to a 3rd edition Morg and a 5th edition Ogre. It is MUCH bigger than Morg and chunkier than the 5th edition Ogre. 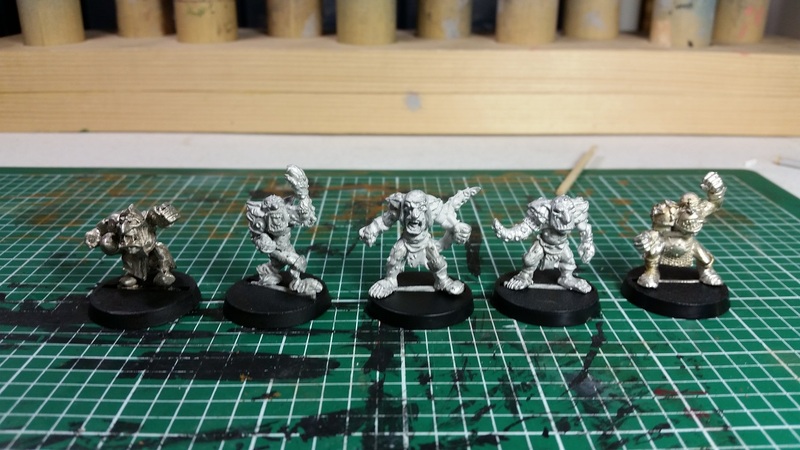 If the 5th edition Ogre were standing up straight, they would probably be of a similar height. 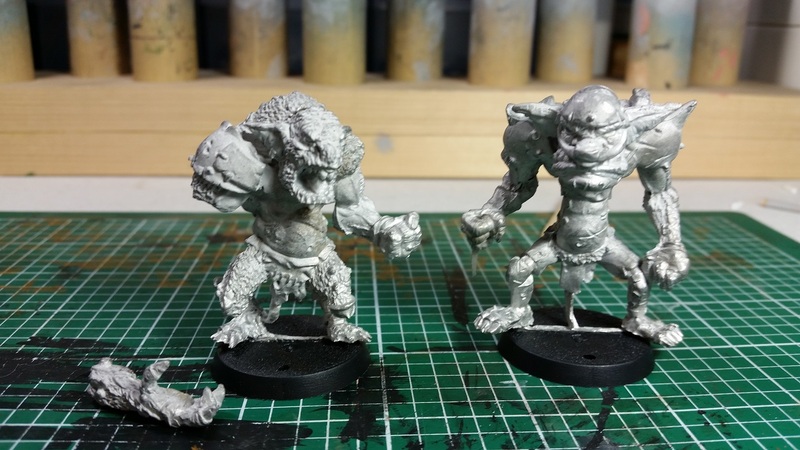 Here is the Troll next to a Willy Miniatures Troll, also sculpted by Pedro. The Willy Troll is slightly taller, but the Willy mini is probably the largest Troll I have ever seen. 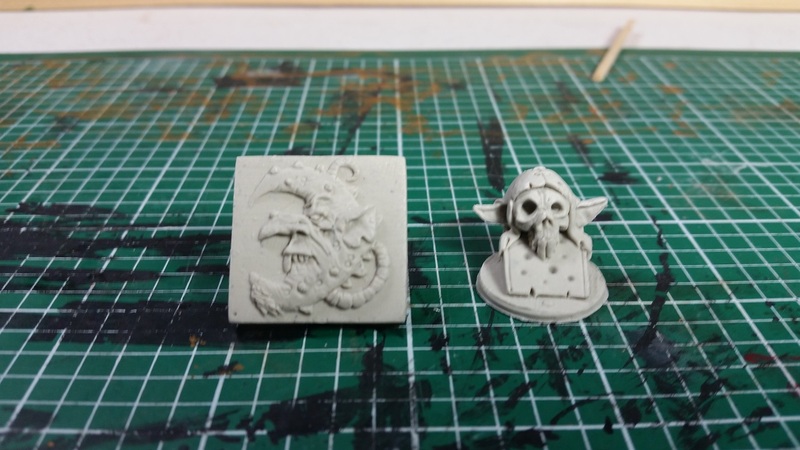 This is another cool mini called Troll and Brain. 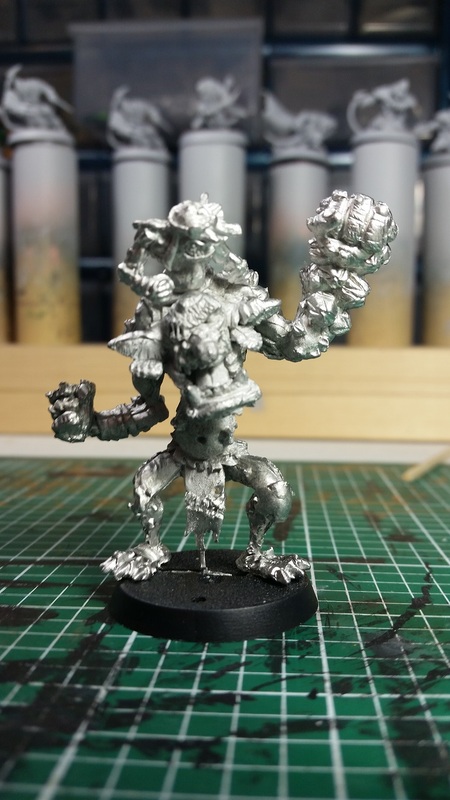 It is basically a Mad Max Beyond Thunderdome Master Blaster, but in Goblin/Troll form for Blood Bowl. 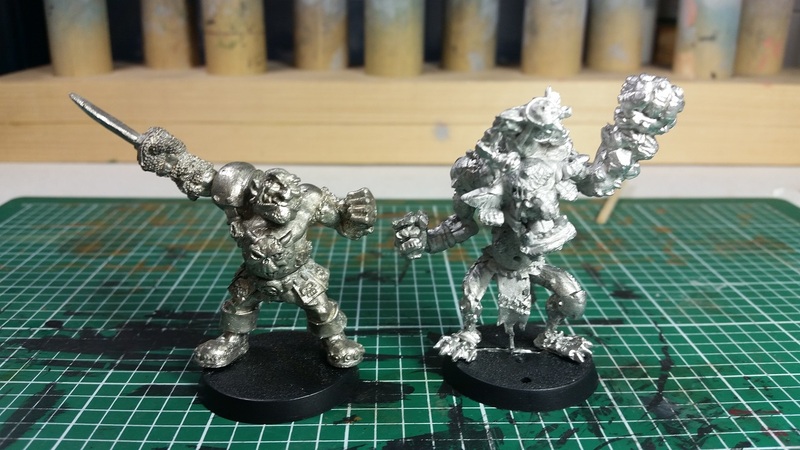 Another size comparison shot next to the 3rd edition Morg. 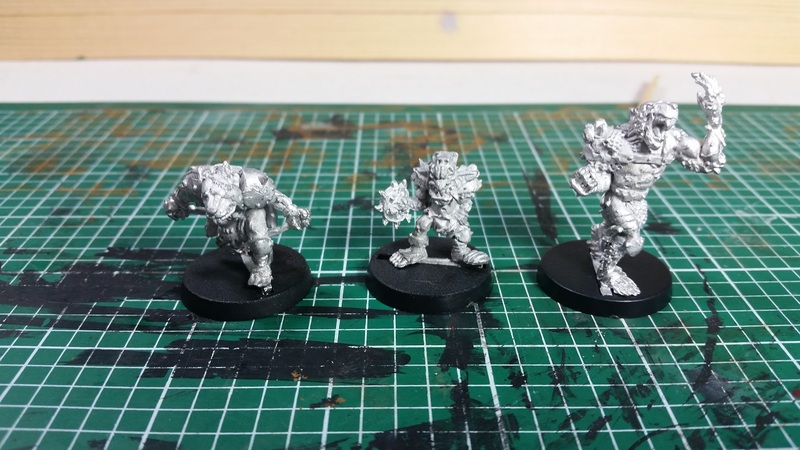 Here are shots of the rest of the team with a few size comparison shots of 3rd edition, 5th edition and current 6th edition minis thrown in for good measure. 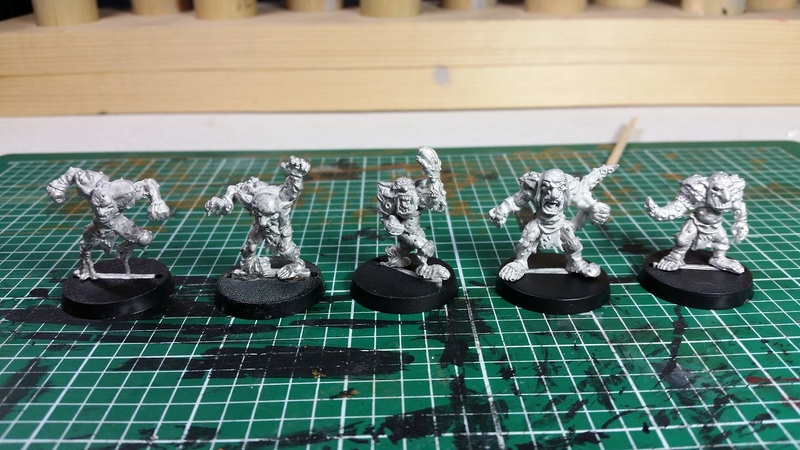 Size comparison with 3rd edition and 5th edition Games Workshop Goblins. 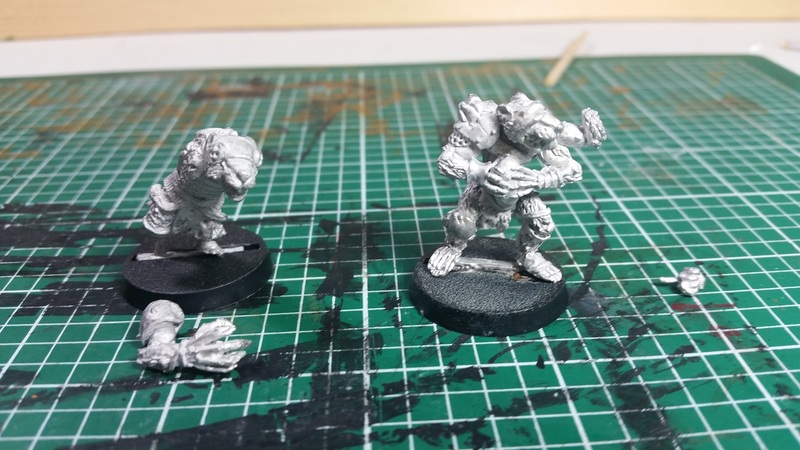 Coach, Goblin, and both Goblin and Skaven Bombers. Size comparison with 3rd edition and current 6th edition Skaven. 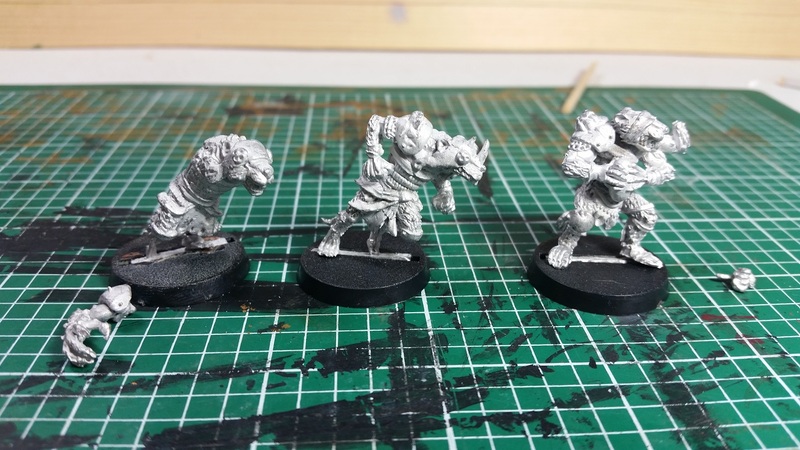 The Skaven on the left is missing an arm, and the three armed Skaven on the right had the hand of his third arm break off in shipping. 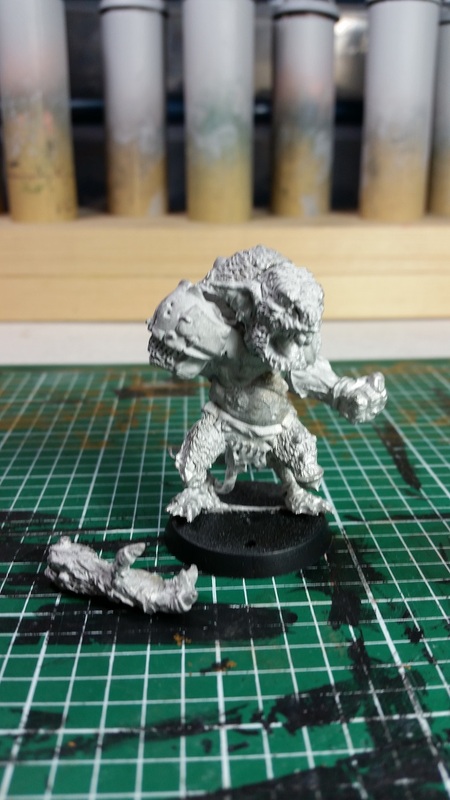 I have reached out to Goblin Guild to see if I can get a replacement for the missing arm and for the mini with the broken hand. I could try to fix the hand myself, but my Green Stuff skills leave a LOT to be desired. All in all, I am pretty happy with this team. The design and sculpts are great, the molds came out great, and compared to the cost of a lot of other indie teams, this team did not completely break the bank. 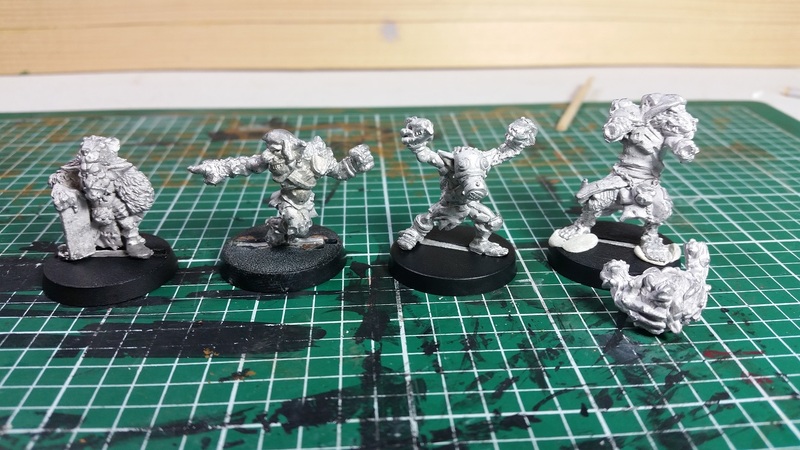 As an interesting point of timing, Goblin Guild has just started a new Chaos Pact campaign on Indiegogo, also designed and sculpted by Pedro Ramos. I am actually going to sit this campaign out. 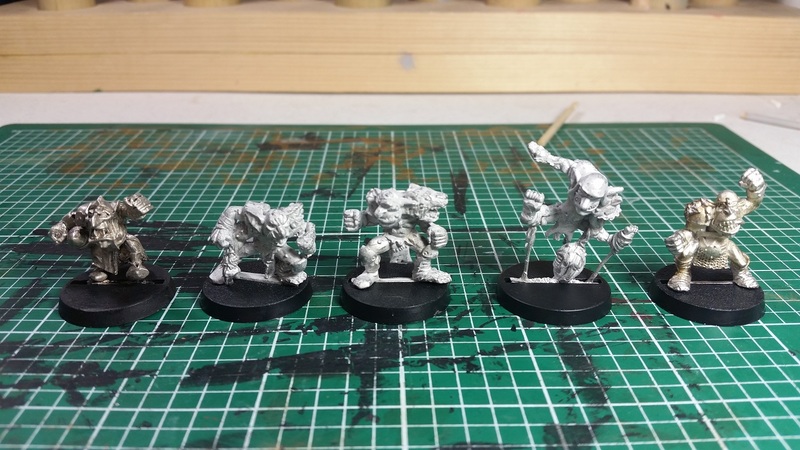 Not because I do not like the team, or have any issue with the Goblin Guild or the Underworld team I just got, but because I am only buying Games Workshop Blood Bowl minis this year. Basically, I have been vocal about wanting GW to bring Blood Bowl back for years. Now that they have re-released the game, I have decided to put my money where my mouth is and support the game with my wallet. I do not want to be one of those guys who complains about GW not supporting the game, then not buying the product when it gets re-released, then complains more when GW shelves the game again. Anyway, I will finish things up by leaving one last pic of the counters that came with the team.